Wallace & Gromit Ep. 3: Muzzled! 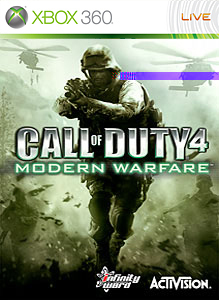 For Deal of The Week, The Call of Duty 4 Variety Map Pack will be available to Gold members for 400 points, 50% off the Original 800 point cost. "Reinforcements have arrived! The Variety Map Pack includes four new multiplayer maps featuring a variety of locations. “Creek,” a wide-open village ravaged by combat where concealment is the difference between life and death; “Broadcast,” fight throughout an enemy communications building with confined corridors and wide-open parking lots; “Chinatown,” a foggy downtown district, lit only by a full moon and the neon glow of the city; and “Killhouse,” featuring a desolate training warehouse filled with a variety of building mock-ups and soft and hard cover points."